Over the past few months I’ve become a regular at Tunnel Espresso Bar and have found it to be emblematic of third wave coffee shops. 9 to 5ers walking by the line-up at Tunnel Espresso will often look down at their cup of Starbucks in dissapointment and be the first in line the following morning. I’m routinely amazed by the human element at Tunnel Espresso – Andrew will often know customers by name and it’s not uncommon to have customers (myself included) linger at the counter having conversations with him long after ordering coffee. 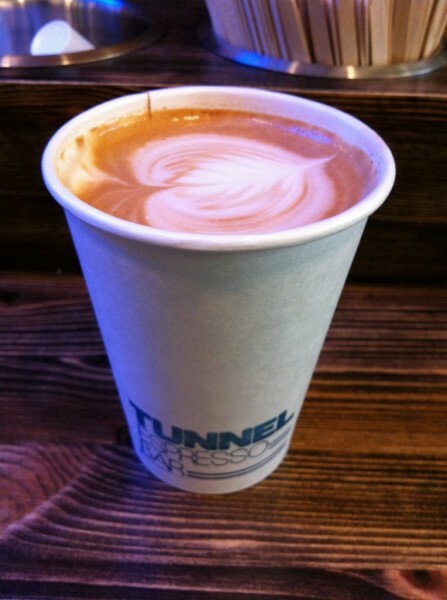 Tunnel Espresso also meets the requisite uncompromising quality standards you would expect. Andrew will always be making subtle improvements to the brewing process and oftentimes will throw away a cup of espresso if it doesn’t meet his standards. This is even more apparent during the lunch rush when line ups of 5 to 10 people will wait patiently as Andrew puts his full concentration into every cup. 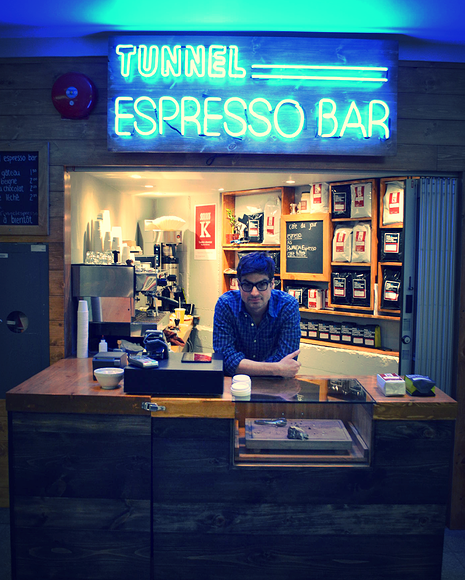 Tunnel Espresso bar currently uses Montreal’s Kittel Coffee and Calgary based Phil and Sebastian roasters. Can’t recommend this place enough – check it out.